If you are using Windows 7 and are unable to access Immersive Terf® your systems does not support the latest SSL (TLS) updates from Microsoft. 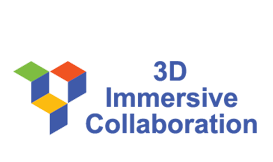 The PCI Data Security Standard (PCI DSS) has set a deadline of June 2018 for disabling older versions of SSL and TLS 1.0. Although we don’t process financial transactions on our site we do keep up with encryption standards and we have disabled TLS 1.0 to ensure that Immersive Terf® is secure! These steps are intended for people that have some technical knowledge about updating systems, applying patches, and updating the registry of your computer. You may need to get help from your IT group if you are not comfortable doing this update on your own. Update Windows 7 in 3 steps! There are two steps in the Microsoft article to install support for TLS 1.1 and TLS 1.2. Update your Registry. See the Microsoft instructions (link above) and search for “Easy Fix” to find the Download button. Once both these two steps are completed, 1) apply the HotFix 2) update the Registry using the Easy Fix, you will need to update an additional registry setting or install Immersive Terf® again. Step 3 can be done two different ways. To install this registry patch on Windows 7 only, double-click on the file, if you see any errors you may need to right-click on the downloaded file and select Run As Administrator. To install Immersive Terf® run the installer, if you see any errors you may need to right-click on the installer after you download it and select Run As Administrator. Immersive Terf is not the only program you will have issues with once providers start disabling TLS 1.0 so this is a good thing for you to do to avoid problems using Windows 7 in the future. Congratulations to Bob Avanzato, who is not only a visionary but also a wonderful instructor with a strong dedication to ensuring that students get the best possible value from both instruction and interaction with others! Well done! 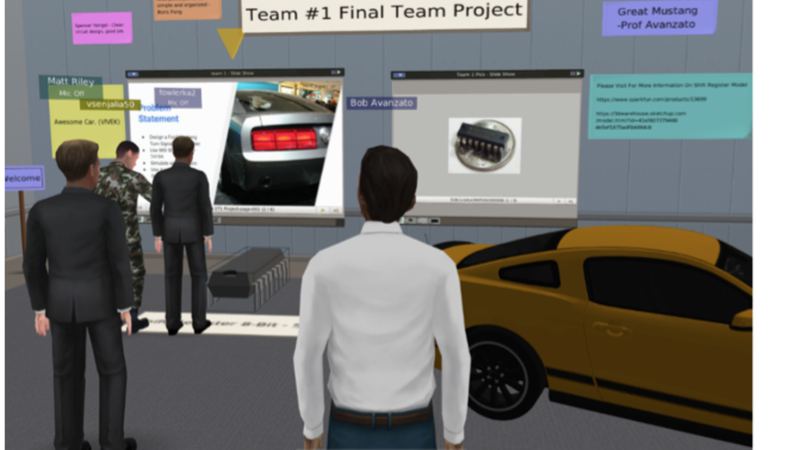 A study by a Penn State Abington faculty member evaluated the use of a virtual-world technology to support student collaboration in two online computer courses. The abstract of the study by Robert Avanzato, associate professor of engineering, was accepted by the American Society of Engineering Education for its national conference in June. Immersive Terf® is the perfect platform for distance learning. 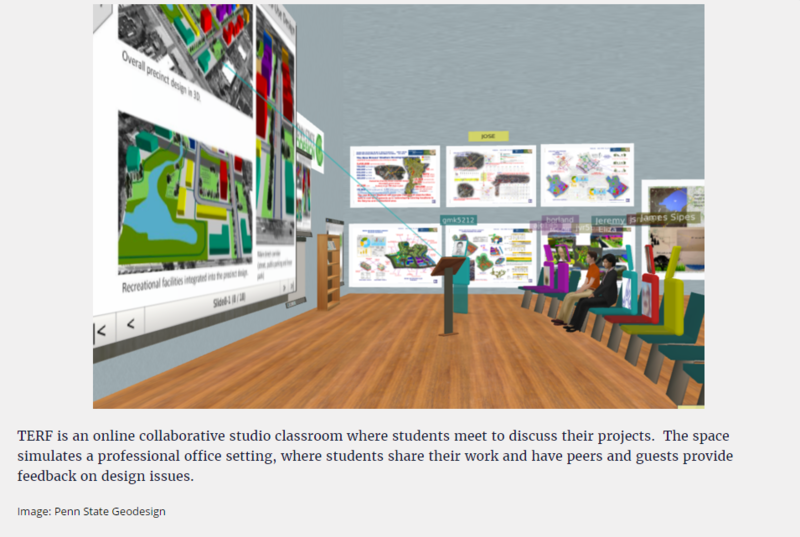 More than just a webcam and app share, we offer an immersive 3d environment that allows users to interact in ways that are not possible in other more 2 dimensional formats. 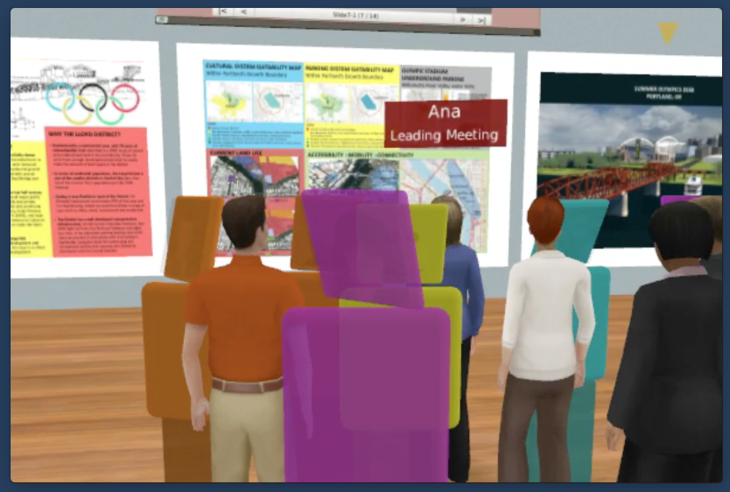 In Immersive Terf® you can walk around and work together in a virtual room, share and work on documents, presentations, videos, whiteboards and more just like you were in the same room. Interact using web cams, voice, and instant messaging. Immersive Terf® is the perfect platform for distance learning.